Posted on January 9, 2017 at 11:25 pm. 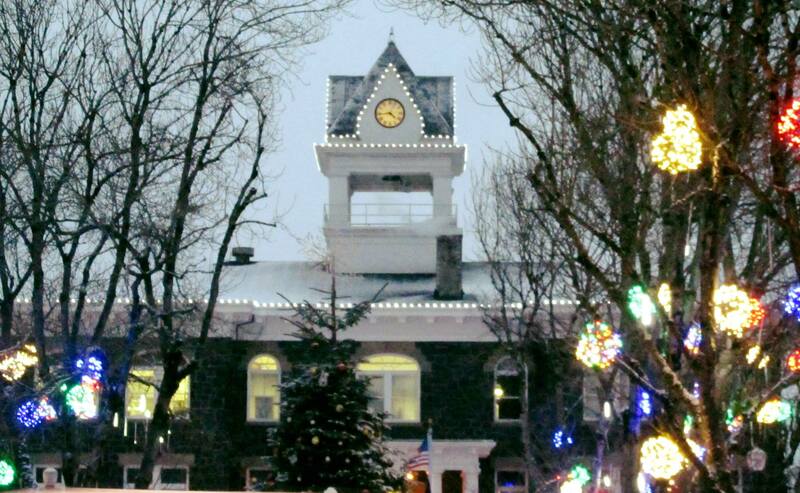 Columbia County, OR – Columbia County art scene has grown stronger over the past few years. One could say, we are in the middle of a thriving art community here in Columbia County. 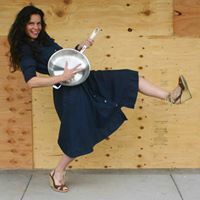 Currently, Columbia County has several groups that are working to put local artists in front of new customers, expose families to community art projects and create a sense of community pride for our local artists and projects. Local art club, Columbia Arts Guild (CAG) looks forward to a great upcoming new year. 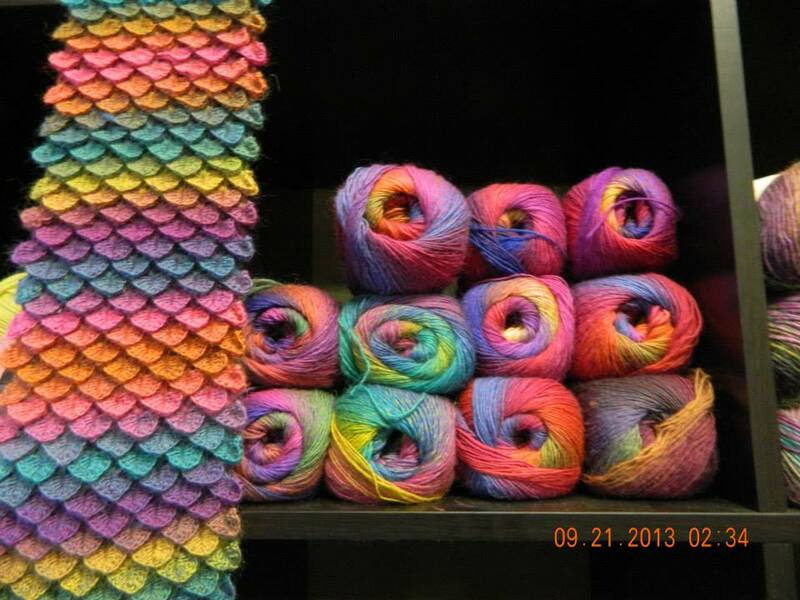 In 2016, CAG created August Art Fair in conjunction with the Scappoose Farmers Market conducting local art demos, author readings and presenting their art. CAG will hold the 2nd Annual August Art Fair on August 5th, 2017 from 9:00 am – 2 pm. CAG hosts quarterly show at local businesses or community organizations. 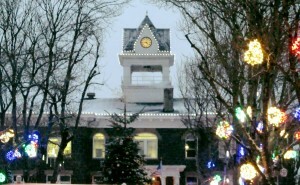 The Columbia County Courthouse in St Helens and Brown Butter Bakery in Scappoose are proudly displaying local groups’ art. For $15.00 a year, you can join CAG. Joining is a great way to support the artists. It’s easy to become a member just fill out the CAG Application online. They are an active group of Artists that meet on Thursdays at 10:00 AM for Plein Air Art at the Columbia Learning Center, St Helens. 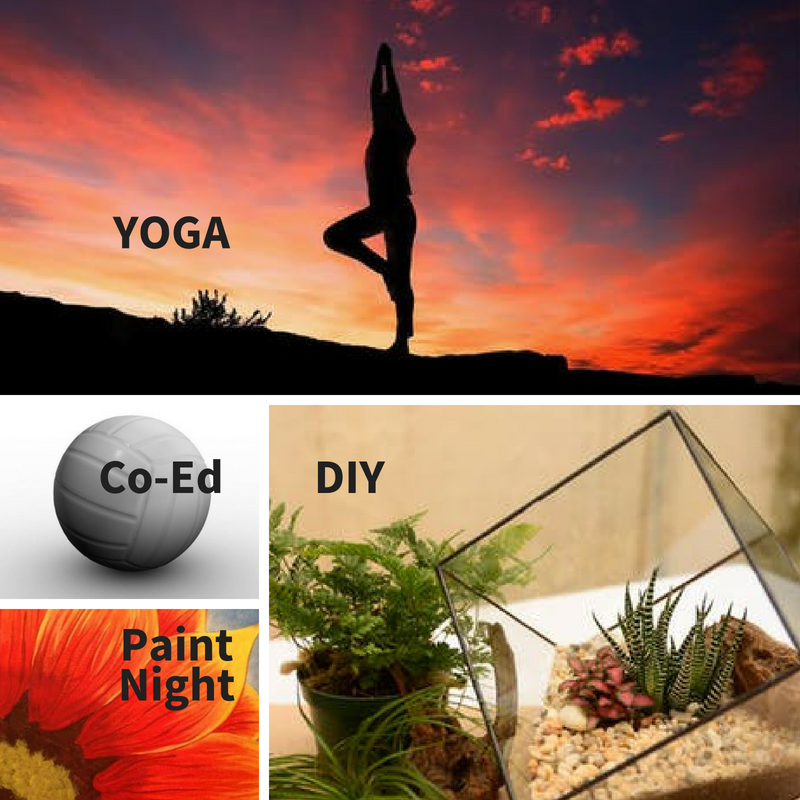 Bring your own art (BYOA) meet in the hallway, work on your project, get advice, share information, listen or join the Urban Sketchers and go out to Paint the Town! Check out, the CAG Facebook Page for more information. 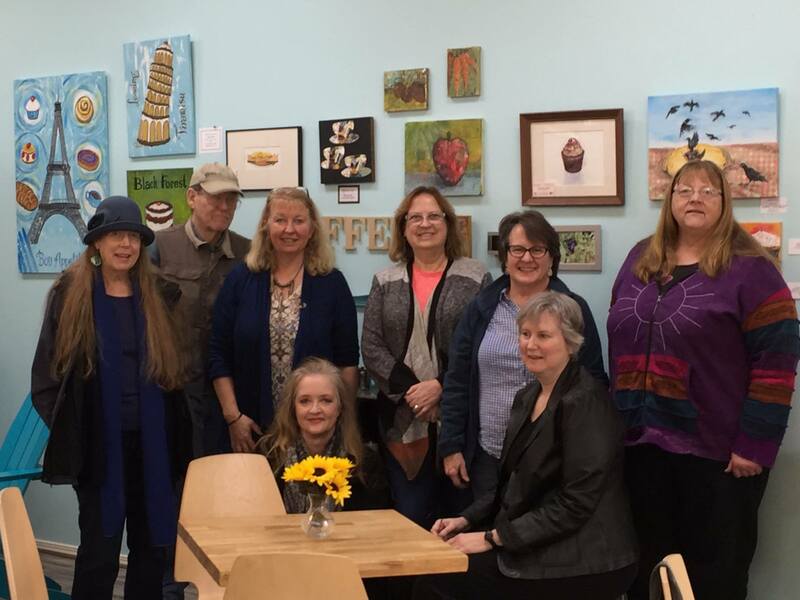 GAC members with their work at Brown Butter Bakery, Scappoose. 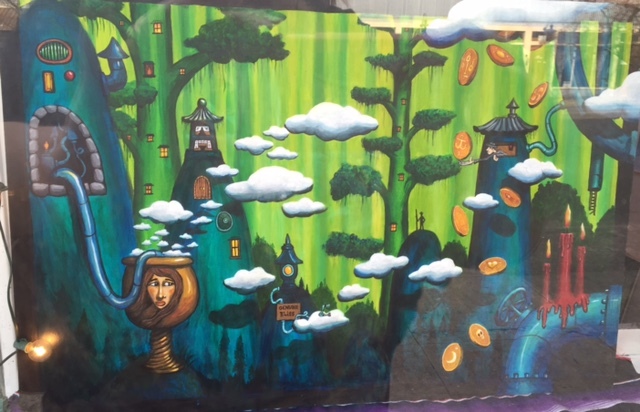 In Summer 2016, another group the St Helens Arts and Cultural Coalition finished their first round of funding for its second Gateway Structure called the Salmon Tree Cycle. This group of volunteers raised over $16,000 for public art with a Kickstarter campaign called the Salmon Tree Cycle Project for more information on the committee visit the City of St Helens Arts and Cultural Coalition website. The St Helens Library also has a variety of art classes such as Collage and Paints for Adults on Jan 31st, 2017 as well as a Writers Guild. New to Columbia County is the first Art Hive Network at Deer Island Manor, Deer Island, OR. An Art Hive Network is a community art studio that welcomes everyone. The workshops for Art Hive Network will start on Feb 4th, 2017 from 12-4:00 PM. Workshops will continue the first Saturday of the month go to The Art Hive at Deer Island Manor for more information. Something new in Clatskanie, Clatskanie Farmers Market is hosting it’s first Clatskanie in Bloom Art Show March 17th- March 31st, 2017 at Hazen Building Registration is now open for artists. Posted on April 19, 2016 at 12:35 am. 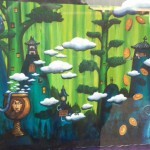 Within the past few months, two new artists have appeared to ignite the Art Scene in Saint Helens on 1st South Street. Located at 289 S 1st street, right across the Courthouse plaza, you’ll find the Phil Fake Studio. 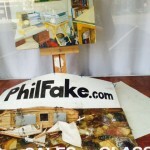 Phil Fake is one of the new artists in St.Helens. His current show, On the Voyage to become Captain Joe Studley, Fake Pirate, A Life/Art Project by Unknown Artist/Owner, Phil Fake. You can view his work at Captain Jim Studley Gallary. 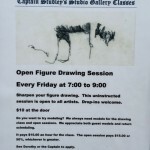 Phil is offering a series of art classes starting May 1st. Be sure to stop by his studio and introduce yourself. Phil works in character as Captain Joe Studley, a real pirate dressed just as you would imagine. He often paints outdoors so you may even meet him while he is painting. 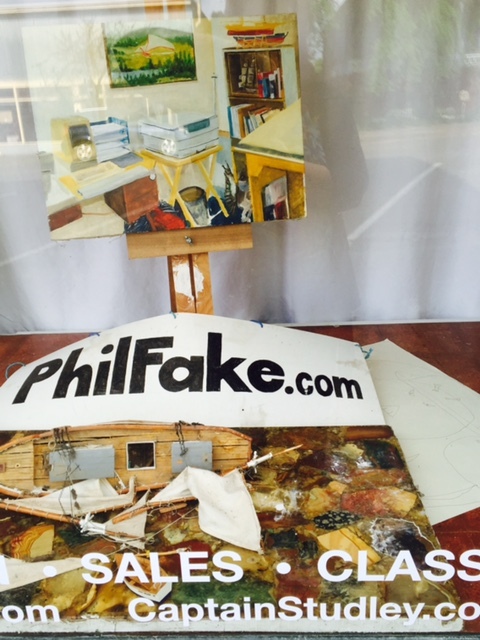 An example of one of the many Art classes offered at Phil Fake Studio. Posted on March 5, 2015 at 2:52 pm. Weaving on a Floor Loom. 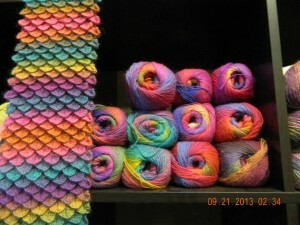 Example of the Yarn Selection at Mo’s. Photo Courtsey of Mo’s. Posted on April 7, 2014 at 2:47 pm. for ages 14 and younger beginning in June. WARREN – Sande School of Horsemanship, a non-profit horseback-riding program in Warren, is now accepting registrations for their 2014 summer horse camps. 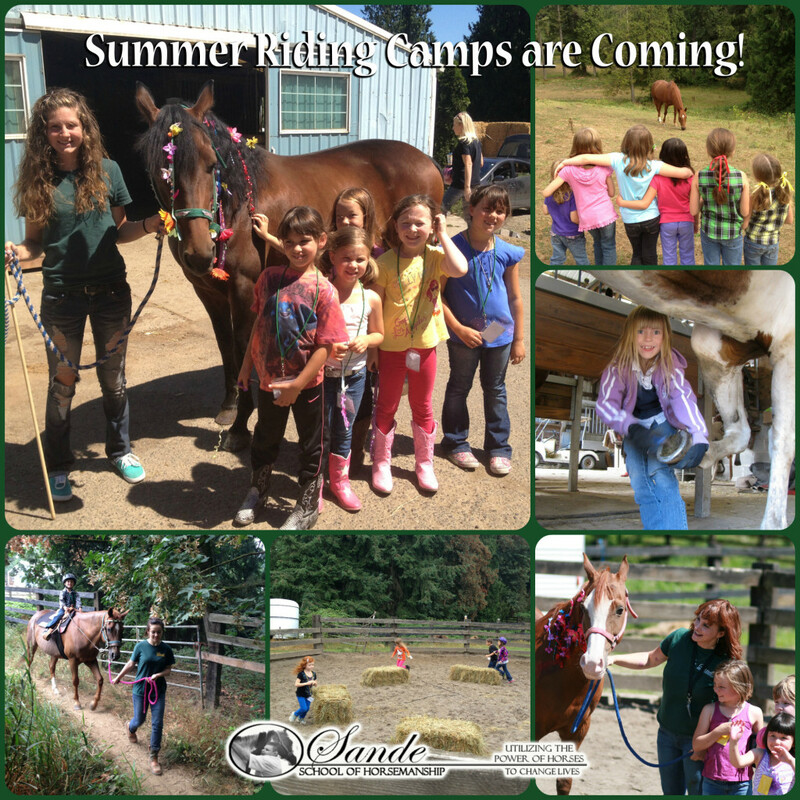 Summer horse camps focus on riding and care-taking of horses, as well as safe handling skills. Groups are kept small to ensure a high instructor-to-student ratio, which allows for a learning-rich and safe environment. Participants are divided into two age groups. 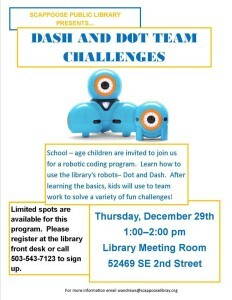 Children ages 4-7 will meet Wednesdays from June 18 through Aug. 27. Morning and afternoon sessions are available (same lesson plan for each). The cost is $280 for eight sessions, and $35 for each additional session. Single sessions also available for $40. Children ages 8-14 will meet Thursdays from June 19 through Aug. 28. Morning sessions offered only. The cost is $450 for eight sessions. Single sessions are $65. Barn staff and volunteers at Sande School of Horsemanship are trained to work with students of all abilities, including those with physical or intellectual disabilities. To register, visit their website www.sandeschoolofhorsemanship.org, and click on the “Summer Camps” tab. 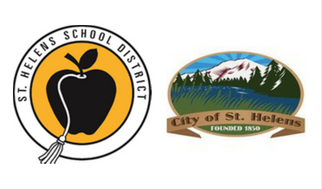 Forms can be downloaded, filled out, and re-submitted by e-mail or U.S. postal mail. A non-refundable deposit is required for all participants to secure a spot. In addition to summer camps, Sande School of Horsemanship also regularly offers other programs, such as Little Wranglers, Barn Buddy Youth Enrichment, and HorseShare, as well as therapeutic grooming, private riding lessons, and group horsemanship lessons. Sande School of Horsemanship is located at 33836 Bennett Road in Warren. For more information, visit their website, www.sandeschoolofhorsemanship.org, e-mail info@sandeschoolofhorsemanship.org, or call 503-369-3008. For real-time updates, like Sande School of Horsemanship on Facebook! Posted on August 6, 2013 at 12:40 pm. SCAPPOOSE — There are still a few spots open for the “Sweet and Savory Fondue” class offered at Avenue 30 Thu, Aug. 8. 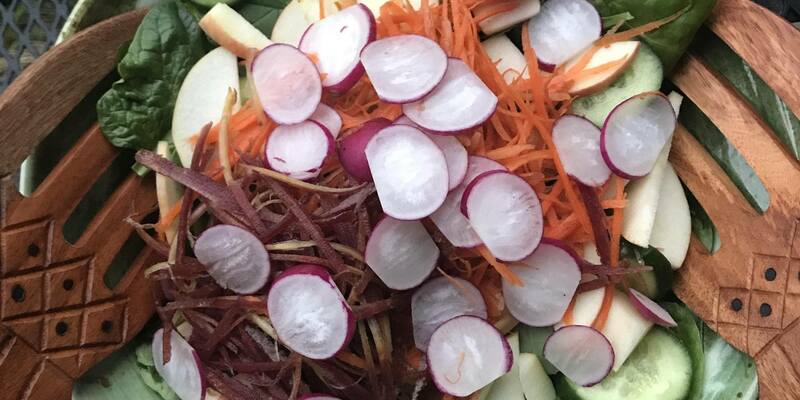 The class, from 6 to 7 p.m., will feature instructor Gainor Riker, former owner of Houlton Bakery in St. Helens, who will demonstrate how to make two different types of fondue. A wine pairing also is offered. The cost is $30 a person and includes a take-home baguette. Avenue 30 is located at 33480 S.W. Chinook Plaza, Scappoose. 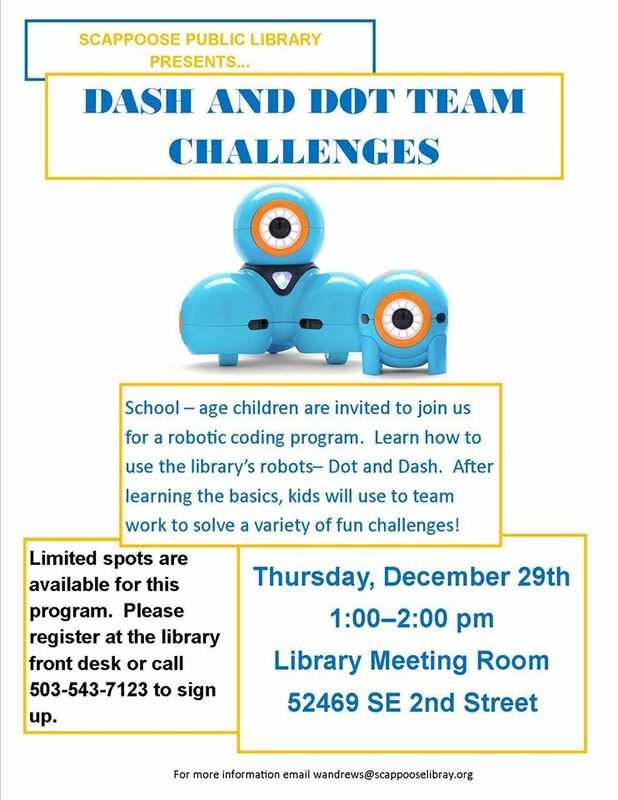 To register, call 503-978-1830. Avenue 30 can be found on the Web by clicking here. Posted on February 22, 2013 at 4:27 pm. Events and activities for all ages in Columbia County, beginning tomorrow and through mid-March. Stand Down for Veterans: 9 a.m. to 5 p.m. Sat, Feb. 23; The Olde School, 251 St. Helens St., St. Helens; free event for veterans (including active duty and National Guard) offering hot meals, clothing, shoes/boots, sleeping bags, personal care items, haircuts, health care, eye care, mental health services, flu shots, legal aid services, employment opportunities, vocational rehabilitation, and Veterans Administration homeless services and benefits experts; sponsored by Community Action Team and Worksource Oregon Northwest; Pam Daniel, 503-366-6591, or pdaniel@cat-team.org. “CROP for FUN”draiser: 10 a.m. to 8 p.m. Sat, Feb. 23; Best Western Oak Meadows Inn, 585 S. Columbia River Hwy., St. Helens; a scrapbooking event benefiting the American Cancer Society Relay for Life of Columbia County; $25 a person; includes table space, lunch and dinner; hosted by Jilly’s Team Twilight; advance registration required; details: Noelle, 503-369-5191, or nslinden@lindens-or.com. AARP Driver Safety: 9 a.m. to 1 p.m. Mon-Tue, Feb. 25-26; Columbia County OSU Extension Office, 505 N. Columbia River Hwy., St. Helens; refresher driving course for those ages 50 and older; possible auto insurance discounts for those who complete the course (check with your agent); $12 to AARP members, $14 to others; registration required; details: Kay, 503-543-7561. Columbia County Bridal Expo: 11 a.m. to 4 p.m. Sun, March 3; St. Frederic Catholic Church, Buccini Hall, 165 S. 14th St., St. Helens; vendors featuring flowers, catering, photographers, music, wedding cakes, travel, formal wear; free samples, door prizes, information on the Portland Bridal Show; bridal fashion show at 2 p.m.; presented by Dianna’s Forma Affair; details: 503-543-0291 or visit event Facebook page by clicking here. Low-cost pet vaccinations: Noon to 3 p.m. Sun, March 3; Columbia Humane Society, 2084 Oregon St., St. Helens; vaccinations $10-$25; microchips $25; service numbers assigned at 11:45 a.m. (no early arrivals); patients seen first-come, first-serve; dogs must be on leashes, and cats in carriers; all animals will be given basic exams to determine if they are healthy enough for services; people with two or more animals must pre-register; county licensing services also available; details: 503-397-4353. Financial literacy story time: 11:15 a.m. Thu, March 7; St. Helens Public Library, 375 S. 18th St., St. Helens; first of three financial literacy story times presented by Lillie Anderson, an Oregon State University/AmeriCorps Financial Literacy Coordinator, who will discuss shopping, money, saving and spending with preschool-aged children with the use of picture books, crafts and other activities; free; 503-397-4544. 2nd annual rodeo benefit: 5 to 11 p.m. Sat, March 16; Columbia County Fairgrounds, 58892 Saulser Road, St. Helens; social hour, dinner, live auction and music and dancing with Much More Country; $25 a person; corporate tables are $250 for eight people; proceeds benefit the Columbia County Rodeo Committee; ticket sales limited; details: 503-397-1800. To submit items for publication consideration, please complete the feedback form under the “Contact” tab. For additional news and events about Columbia County, visit our Facebook page by clicking here.